Magical Messes: Summer Sun & Fun! Hello there! 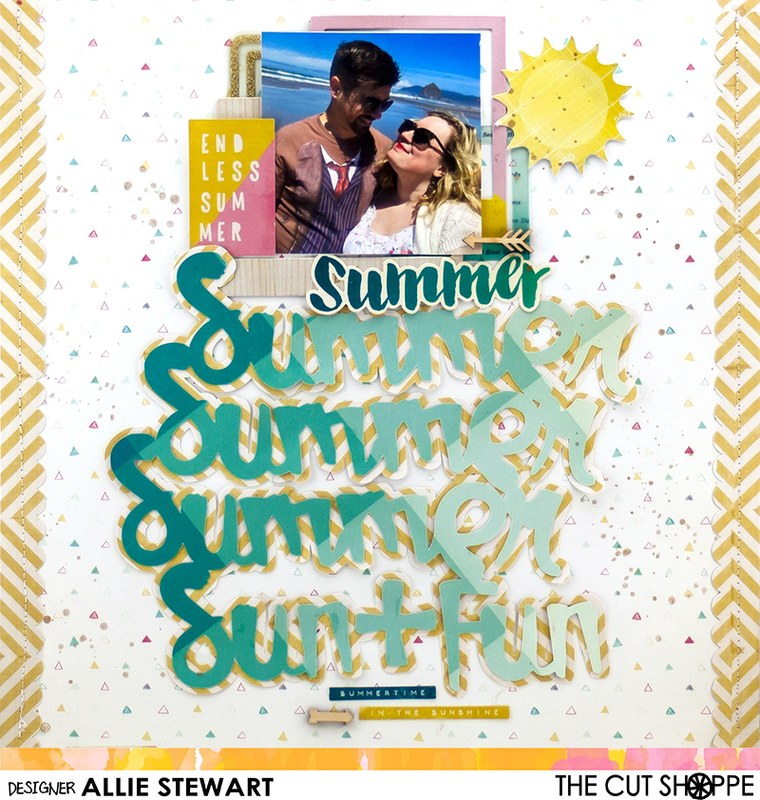 I have a Summer-themed layout to share with you using the "Summer Sun and Fun" cut file from The Cut Shoppe.I love the script writing! I used a mix of Crate Paper's The Pier and Poolside and a picture of us at the beach. I made the cut file large to be the focal point of my page, and the used the offset tool to mat it with another patterned paper. I definitely don't use the offset tool enough, and I think it's a great way to mix up cut files! Thanks for joining me! Stop by The Cut Shoppe blog for more cut file inspiration!